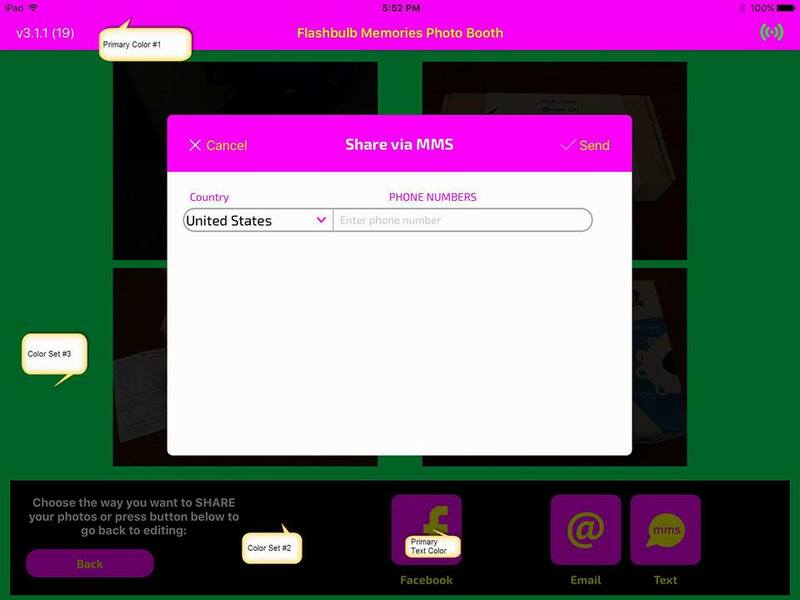 You can redesign the PicPic Social sharing station app so that it fits you or your clients brand. You can change the color scheme of the sharing station and also upload custom images appear on different screens. Each settings field in the photos above allow you to adjust a unique color on the sharing station. Please use the images above as a guide to customize the color scheme on the sharing station application to your liking. 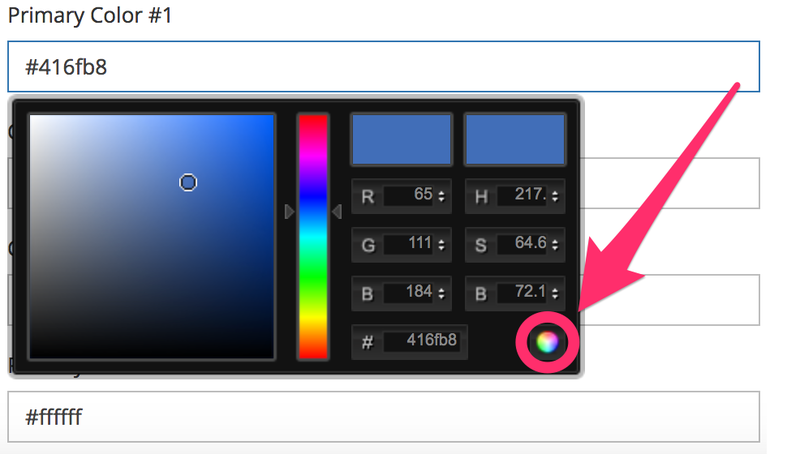 Click into the Primary Color space to view the color chart. Use the arrows on the Left + Right side of the color bar to choose the type of color that you desire. Use the circle within the colored square to adjust the shade of your color. Once you have chosen the color that you would like to use please press the Rainbow Circle in the lower right-hand side of the color chart to select it. The required dimensions to upload your own custom Idle Screen or Thank You Screen is 2048 × 1536. The size should be 2048 x 1536 if you plan on displaying the sharing station in Landscape and 1536 x 2048 if you plan on displaying the sharing station in Portrait. 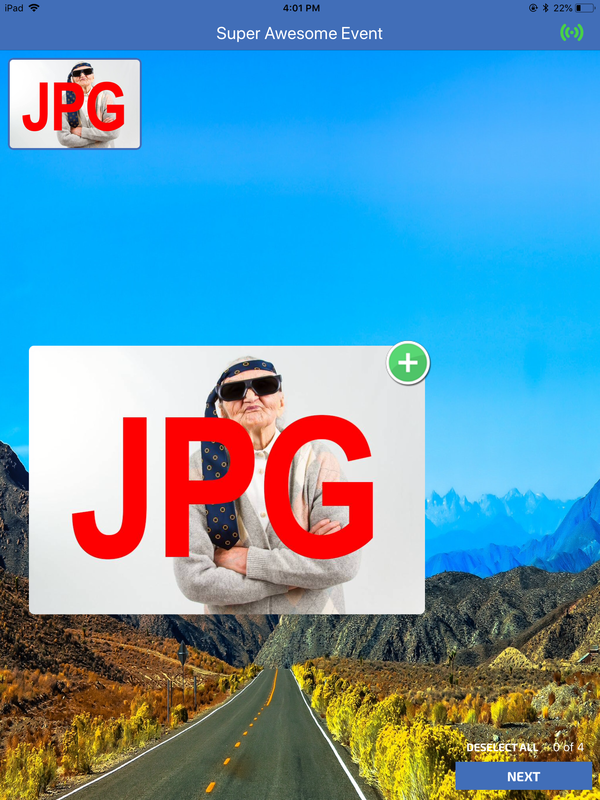 Make sure that the custom image that you are creating is saved as a JPEG or a PNG file. Once you are done please click the Browse button to upload your own custom image to appear on the sharing station. 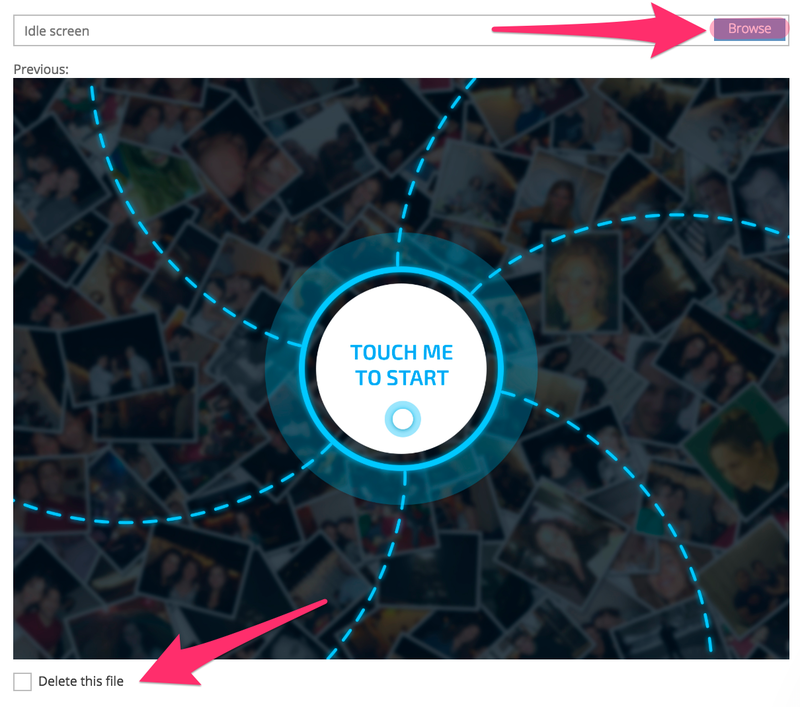 If you desire to remove the Idle Screen from the sharing station entirely, please click the check box that says Delete This File at the bottom of the upload section. Here are links so that you can download the original Idle Screen or Thank You Screen if needed as well. You can upload a Custom Background Image to the sharing station. It will replace the default PicPic Social sharing station background with your own custom image like in the photos above. 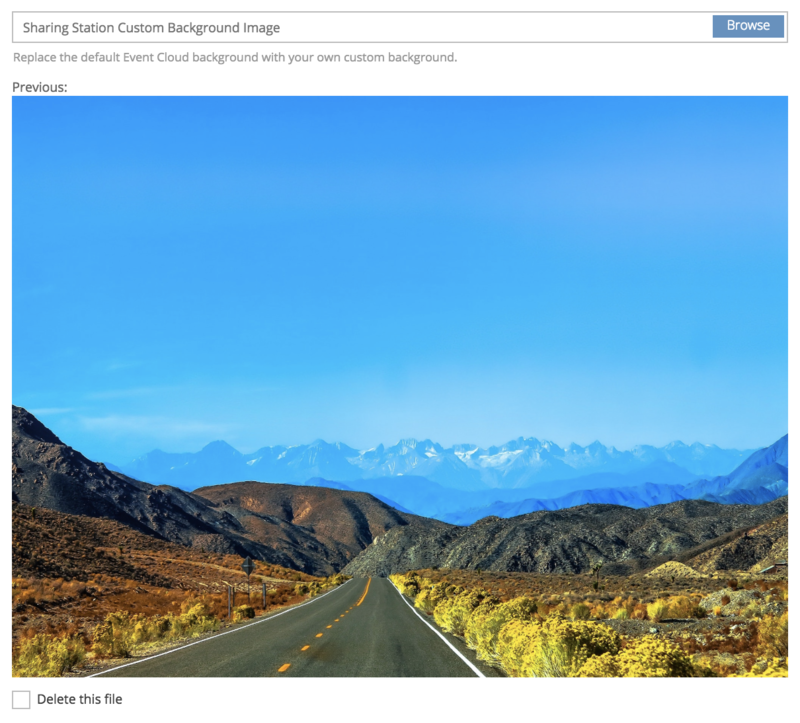 Just like the Idle Screen and Thank You Screen, the required dimensions to upload your own custom background image is 2048 × 1536.